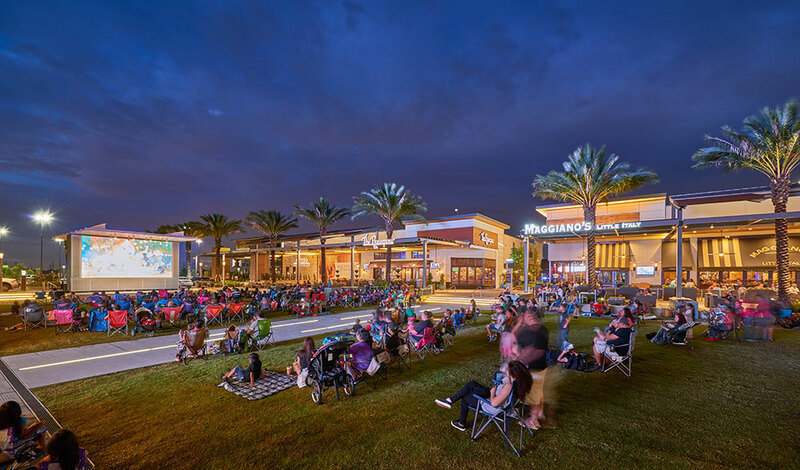 The Baybrook Mall was constructed in the late 1970’s as a regional center, serving the needs of the fast-growing Clear Lake, Texas area. 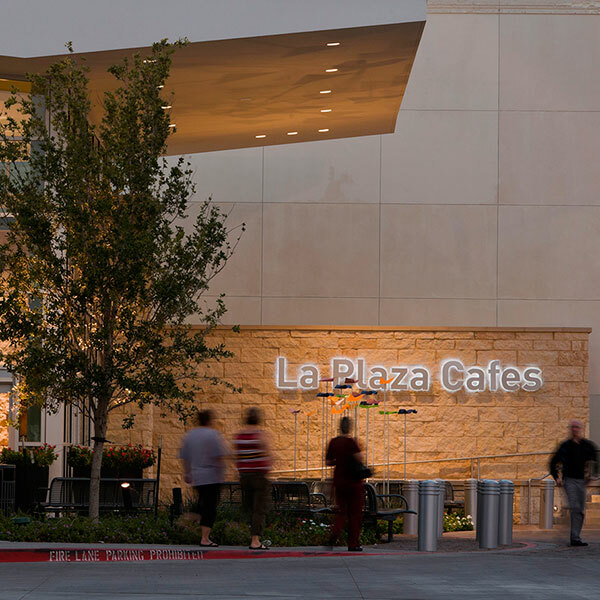 It quickly became one of Houston’s most dominant retail properties. 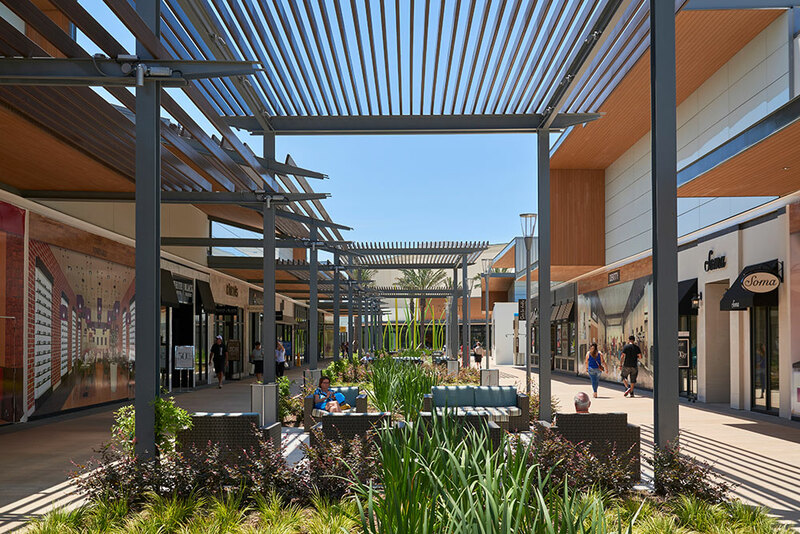 This upgrade project focused on elevating the nearly 40-year old mall to another level by adding a 275,000+ sf lifestyle component. 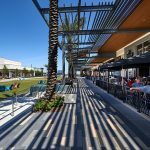 The open-air retail expansion complements yesterday’s anchors and shops with new outdoor entertainment, restaurants and boutiques. 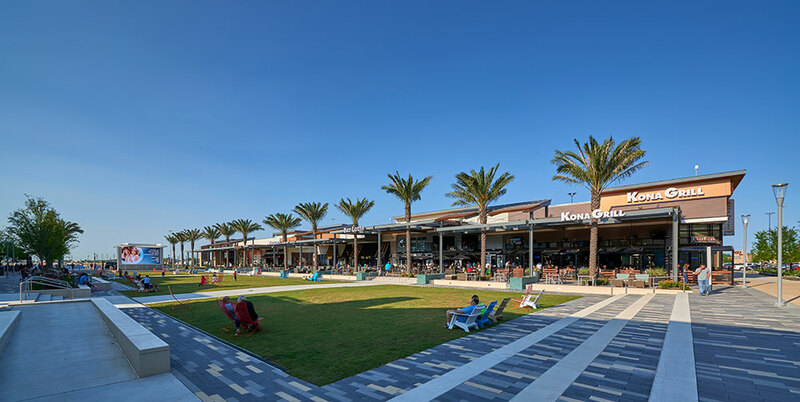 A major portion of the expansion is organized around an open greenspace that offers a place to gather for community activities and hospitality options. 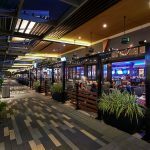 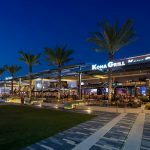 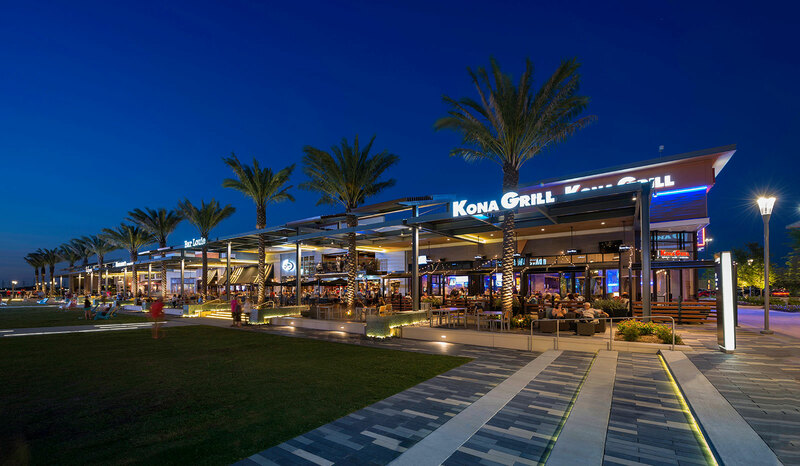 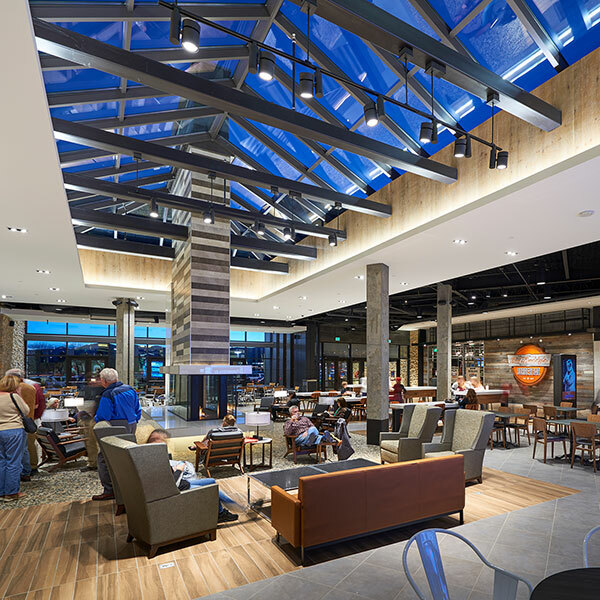 The lighting design needed to reinforce both the shopping experience and the more festive restaurant and hospitality zone that serves as the development’s north anchor. 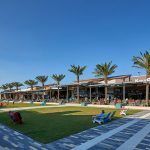 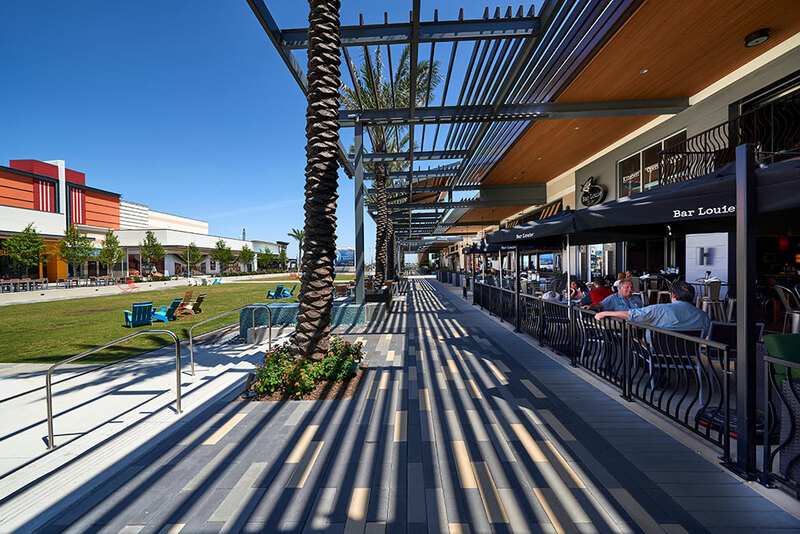 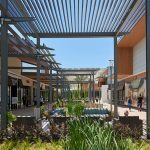 Storefront sectors are reached through central pedestrian spines that are seasoned with plant materials, shade structures, seating areas, dynamic water features and a creative paving pattern. 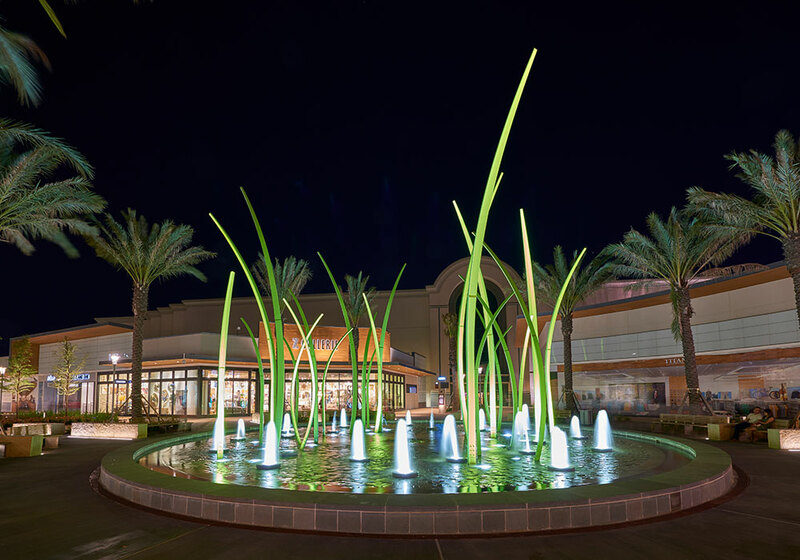 Each of these design elements were made a part of the nighttime scene. 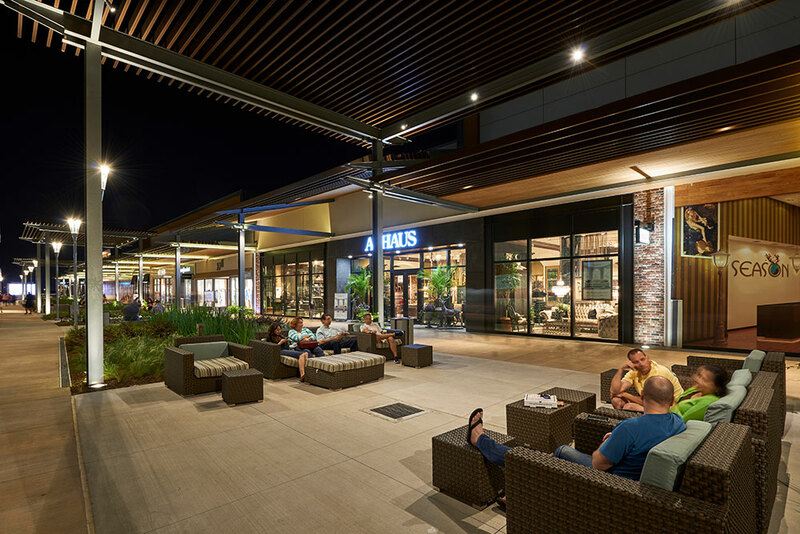 A deployment of lively LED pedestrian poles along the concourses and entry paseos establishes circulation zones and wayfinding cues, while furnishing functional illumination. 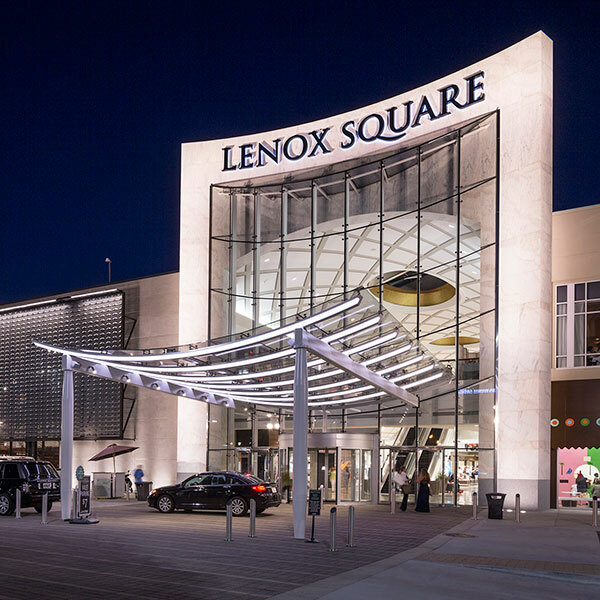 Lighted building facades extend the vertical boundaries and provide long-view orientation for the visitor. 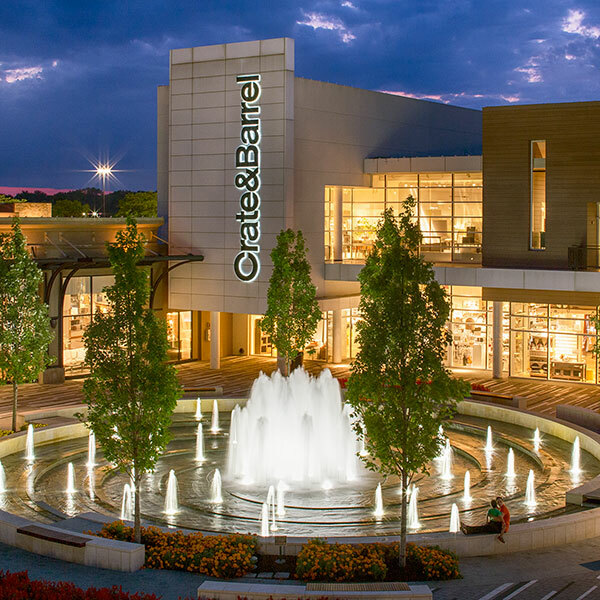 Illumination of the strong plant material palette helps soften the perimeters and feature the year-around “greenspcape”. 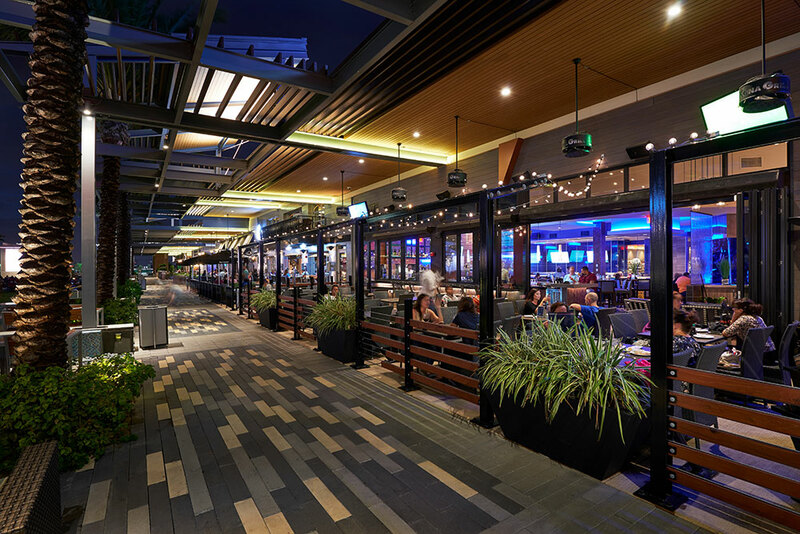 Trellis structures serving as shade during the day become living room respites for after-dark guests with dappled light from both above and below. 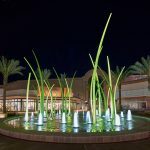 Other drama can be seen within water features, where collaboration with the designers yielded precision effects with lighting and controls. 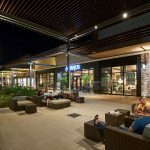 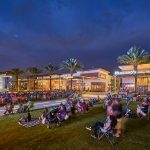 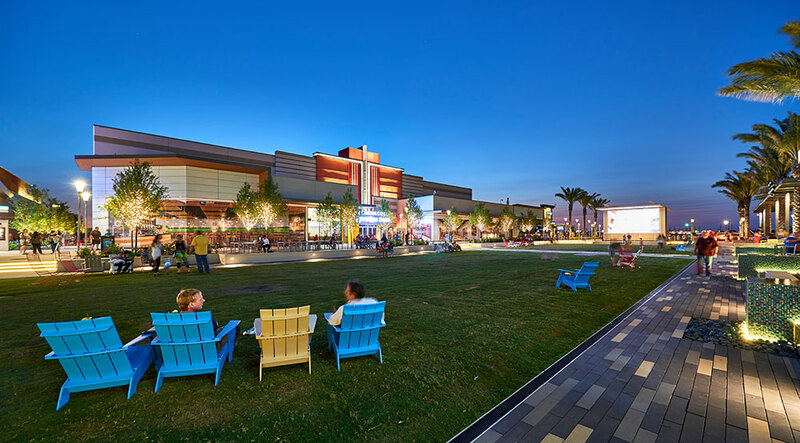 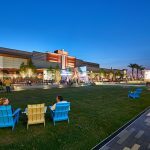 Once night falls, a thoughtful, comprehensive lighting design helps make the new Baybrook expansion a destination for shopper and leisure-seeker alike.